ManufacturerHP Inc.Manufacturer Part NumberG3Q35A#BGJManufacturer Website Addresshttp://www.hp.comBrand NameHPProduct LineLaserJet ProProduct ModelM102wProduct NameLaserJet Pro M102w PrinterMarketing InformationProduce professional documents from a range of mobile devices, and help save energy with a compact laser printer designed for efficiency. Print directly from your mobile device to your Wi-Fi Direct® printer-without accessing the company network. 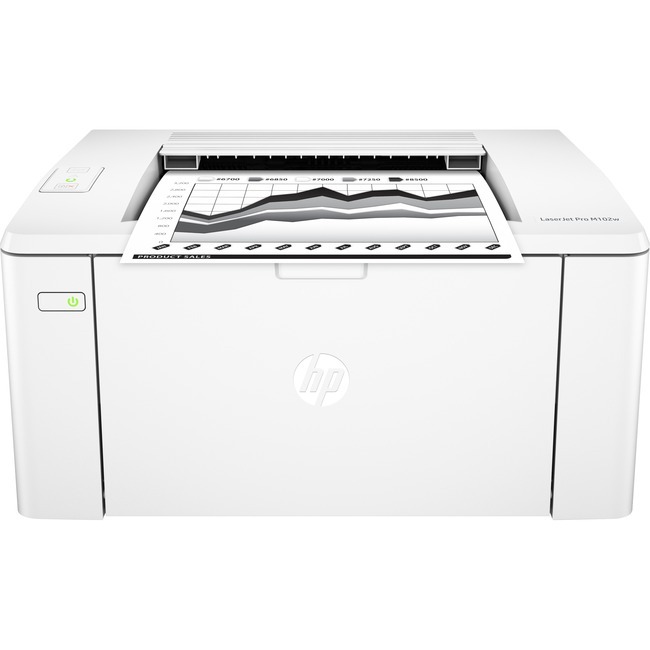 Don't be fooled by alternatives that mimic Original HP. Anti-fraud technology can help ensure you're getting the quality you paid for.